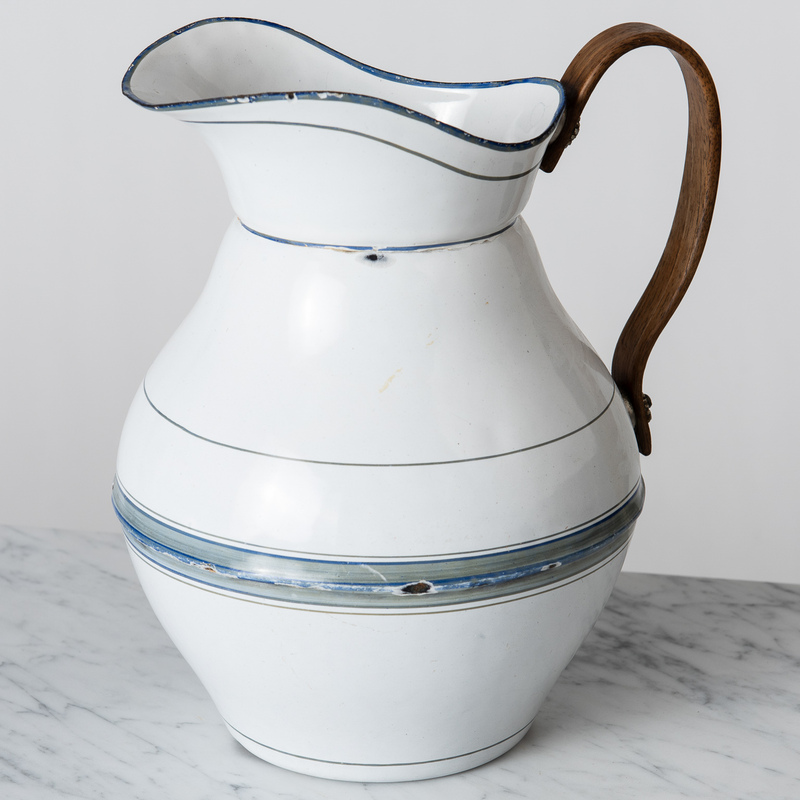 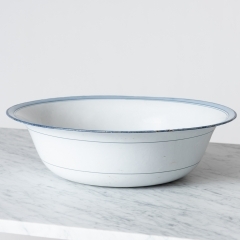 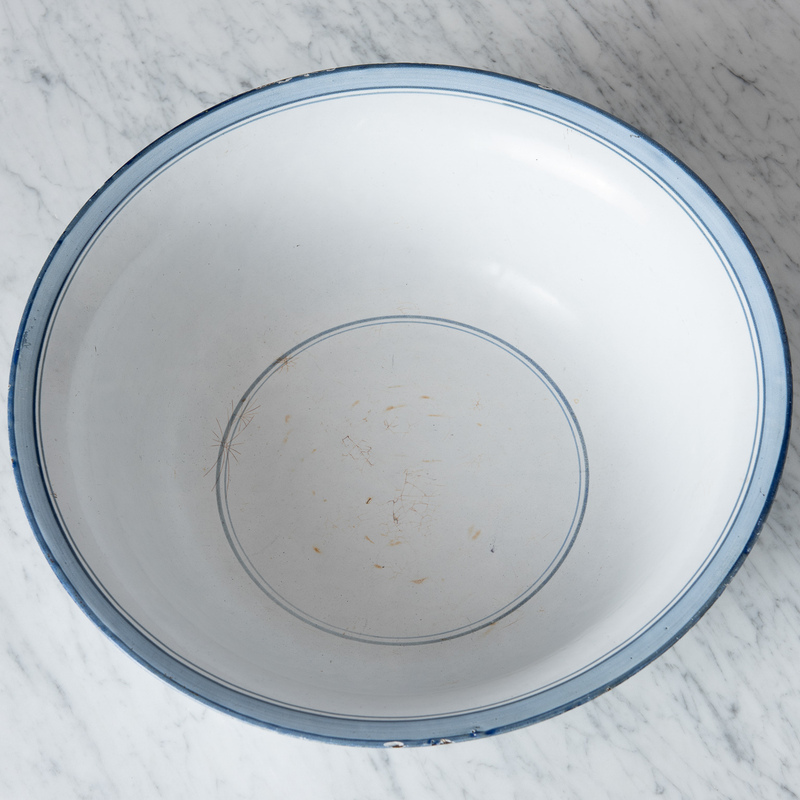 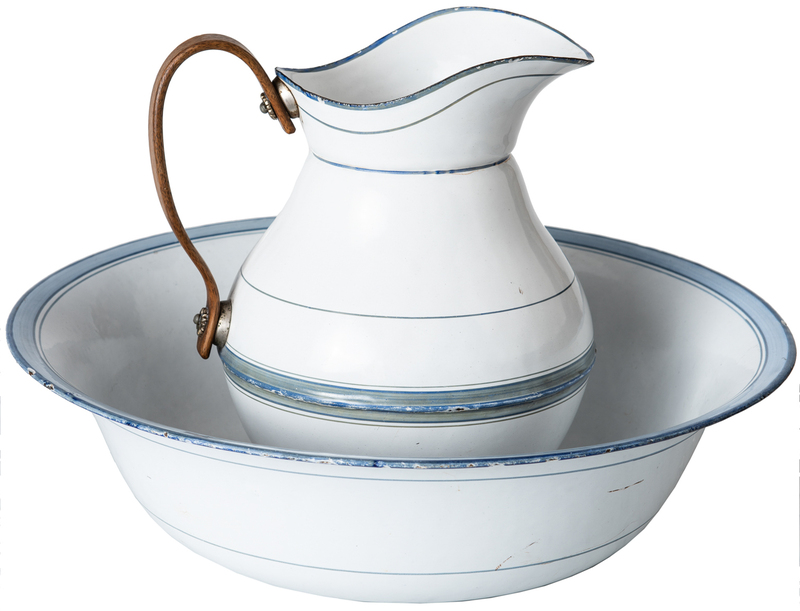 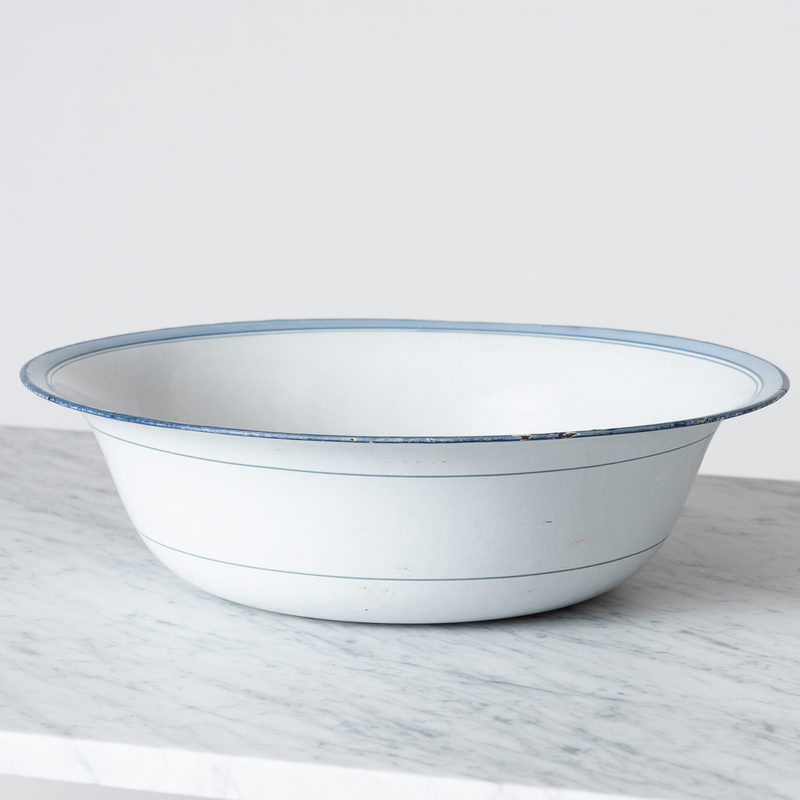 The enamel on this bowl and pitcher is a wonderful pale French blue offset by a darker blue stripe. 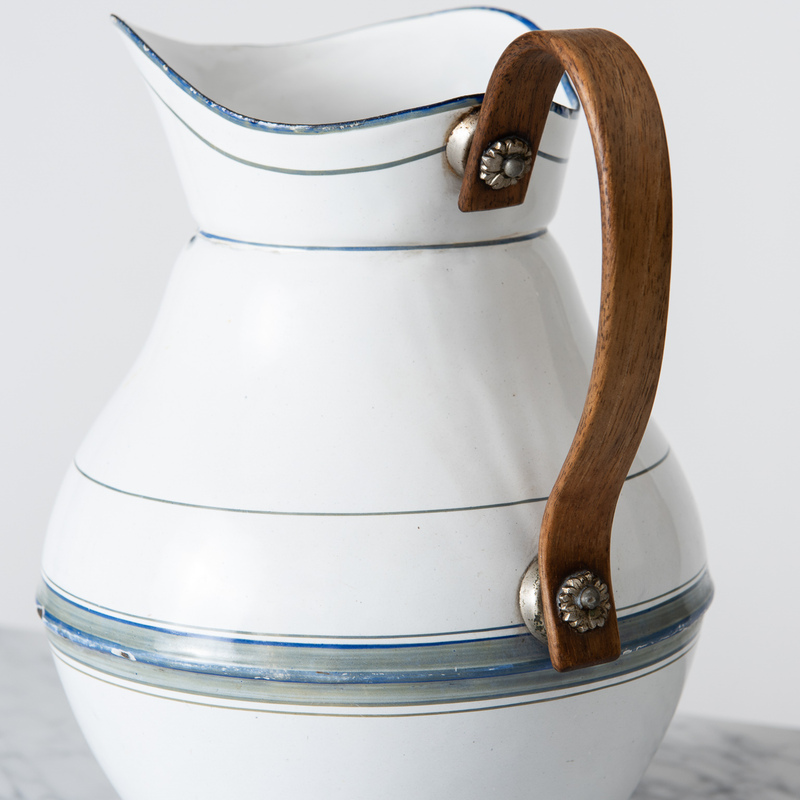 The charming pitcher has a unique bentwood handle with decorative brass fasteners. There is some loss to the enamel here and there.